If you want to keep your sofa looking good at all times, you have to ensure that you clean its fabrics from time to time. This may seem like a very daunting task to many. However, it is not as hard as you may be thinking. If you know the right techniques, cleaning the sofa will be as easy as a walk in the park. 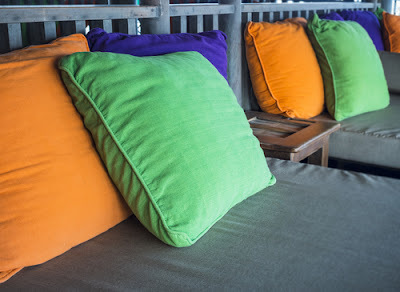 There are so many different types of fabrics that are used on sofas. If you want to clean your sofa in the best way possible, you have to ensure that you find out the specific type of fabric that has been used o make it. There is no way that you are going to clean your sofa fabric correctly if you don’t know what material it is. Different types of materials require different methods of cleaning. When you know the fabric material that has been used for your sofa, you will be able to determine the best method to use to clean it. If it becomes challenging to find out the correct information about the fabric that has been used on your sofa, you should seek help from a professional. You should never start cleaning when you don’t know the type of fabric that you are dealing with. There are so many cleaning products out there in the market. However, not all products that you will come across are suitable for your sofa fabric. When looking for a product to clean the fabrics of your sofa with, you should be very careful to ensure that you find the right products. The products that you are going to use to clean your sofa fabrics have a direct effect on how it is going to be after you are done with the cleaning. When you use the wrong products, the fabric may fade or become weak after every cleaning session. Wrong products can completely damage the look of your sofa within a very short time. 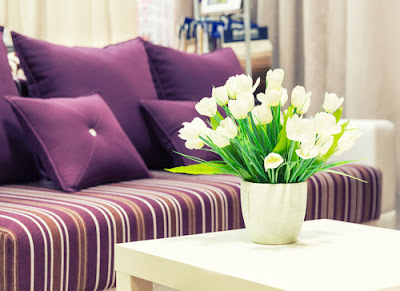 Therefore, if you want to keep your sofa looking good and to maintain the strength of the fabrics, you have to ensure that you always clean it using the right products. You can seek advice from professionals if you are not sure about the products that you should use to clean your sofa. Always take your time when shopping to ensure that you find products that were specifically made for the fabric that has been used on your sofa. There are very many solid particles that may be trapped in your sofa. The best method that you can use to get rid of the solid particles and the dust in your sofa is vacuuming. Vacuuming will only take a short time and does not require a lot of effort. However, you should not be in a hurry when vacuuming the sofa. Take time to ensure that you reach all its sections. Turn it upside down to vacuum all the places if there are areas that you can’t reach easily. Think of vacuuming as preliminary cleaning that will help to make the other processes of cleaning that you will use later easy. If you have been using your sofa for a very long time, there may be very many solid particles that are trapped in it. You don’t need to use excess amounts of water to make the fabrics of your sofa clean. Try as much as you can to minimize the amount of water that you use. If you use excess amounts of water, it will get to the inner parts of your sofa and cause many problems such as mold growth. If you don’t want to be dealing with such problems after cleaning the fabrics of your sofa, ensure that you use as little water as possible. When you are done with the cleaning, takes steps that will help you ensure that your sofa is dry. You should not start using your sofa again before you are sure that it is dry. This is because when the fabric is still wet, it can easily get dirty again when people start using it. When cleaning your sofa, you will definitely come across stubborn stains. This can be really frustrating and can make you start thinking about using crude cleaning methods to remove them. However, you should refrain from using any cleaning technique that may cause damage to your sofa. You should not rub the fabrics with a lot of force in attempt to remove the dirt that does not come out after the first wash. Instead, be gentle and clean the area again. The dirt will eventually come out if you are patient to do another round of cleaning. Using force when cleaning may not help you to get rid of the stains. Force will only damage the fabrics of your sofa. When things get tough, always feel free to seek professional help. Professionals will clean your sofa the right way and might teach you how to clean it correctly the next time you need to clean. You should not continue to struggle by yourself when you can get help from people who can do the job perfectly on your behalf. Furthermore, the service of a professional does not cost a fortune. The services that you are going to get from pros does not compare with the small amount of money that you will part with.